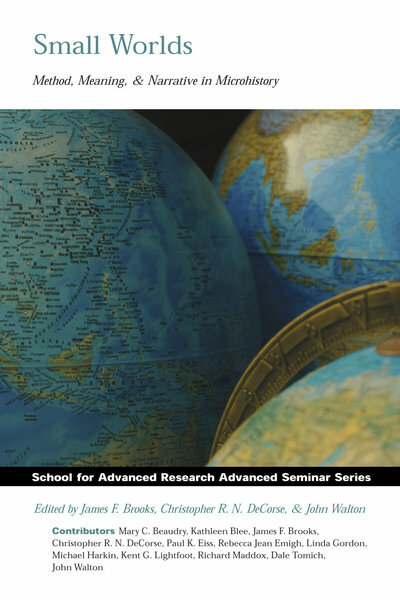 Growing unease with grand theories of modernization and global integration brought twelve scholars from four disciplines to the School for Advanced Research for an experiment with the research genre known as microhistory. These authors now call for a return to narrative, detailed analysis on a small scale, and the search for unforeseen meanings embedded in cases. The essential feature of this perspective is a search for significance in the microcosm, the large lessons discovered in small worlds. Urging the recognition of potential commonalities among archaeology, history, sociology, and anthropology, the authors propose that historical interpretation should move freely across disciplines, historical study should be held up to the present, and individual lives should be understood as the intersection of biography and history. The authors develop these themes in a kaleidoscope of places and periods—West Africa, the Yucatan peninsula, Italy, Argentina, California, Brazil, Virginia, and Boston, among others. They illuminate discrete places, people, and processes through which both the intimacy of lived experience and the more distant forces that shaped their days can be viewed simultaneously.